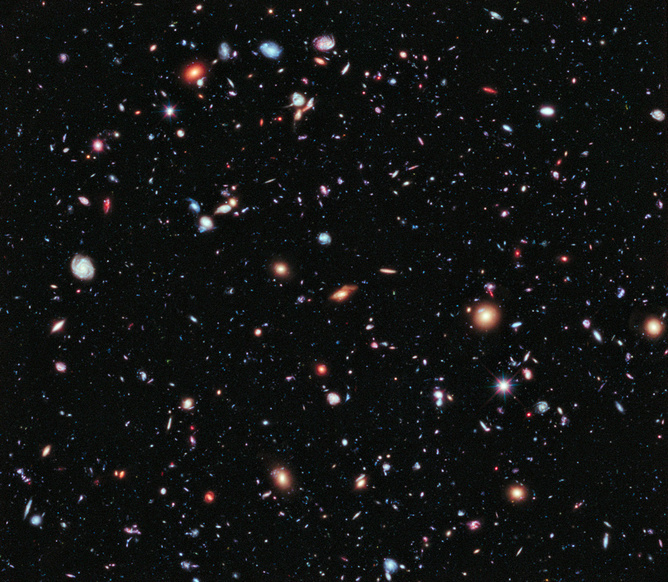 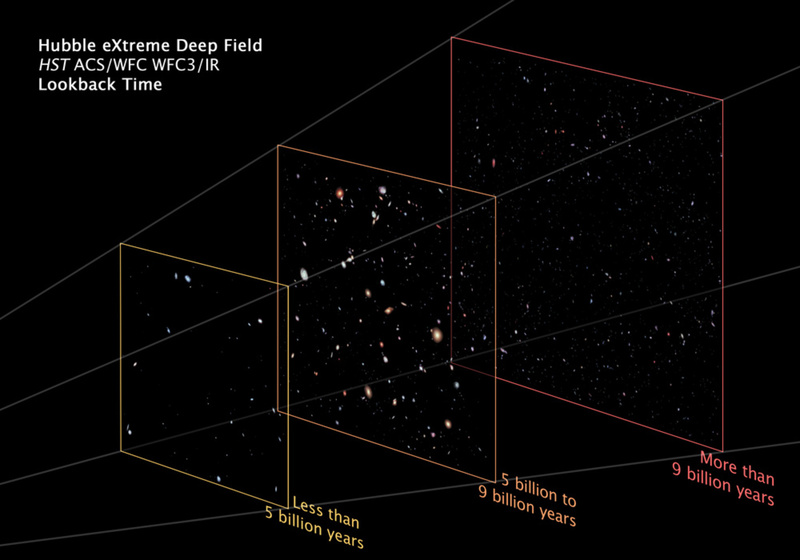 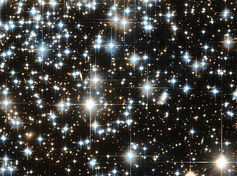 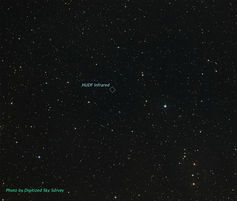 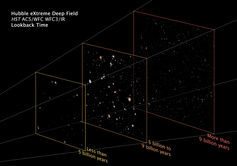 The Hubble Ultra Deep Field, as seen from the ground. 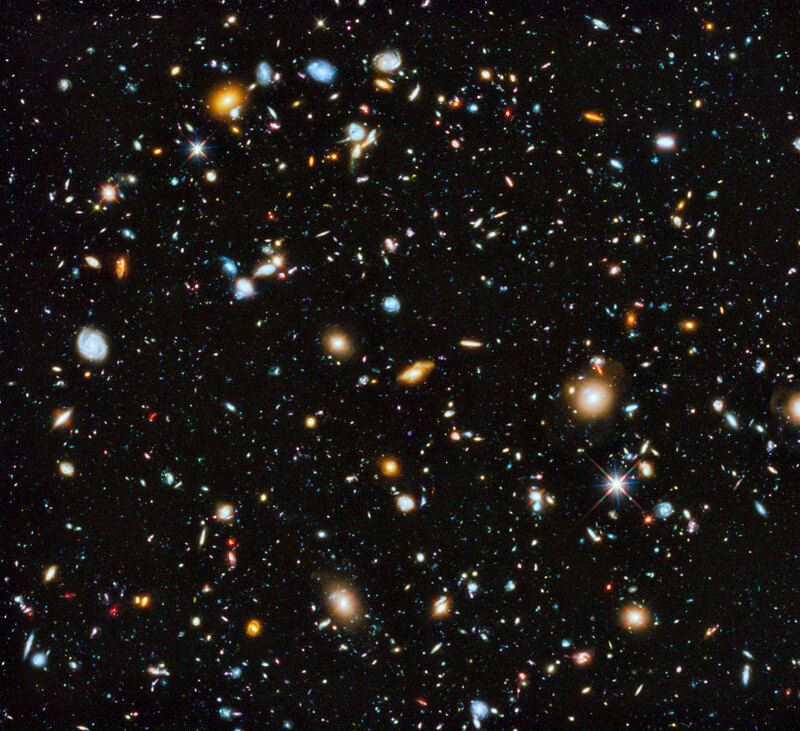 With the addition of IR and UV, this becomes the most colourful view of the universe. Twinkle, twinkle, lots of stars (and their diffraction spikes). 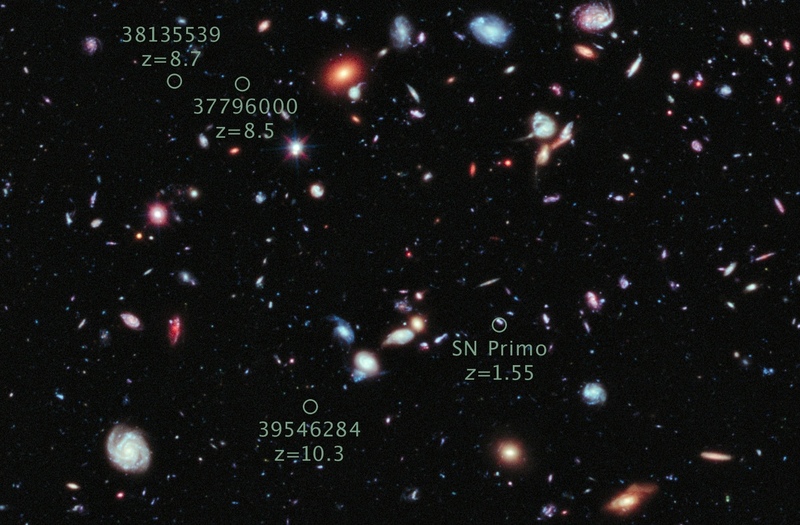 How Hubble’s astronomy looks back in time. 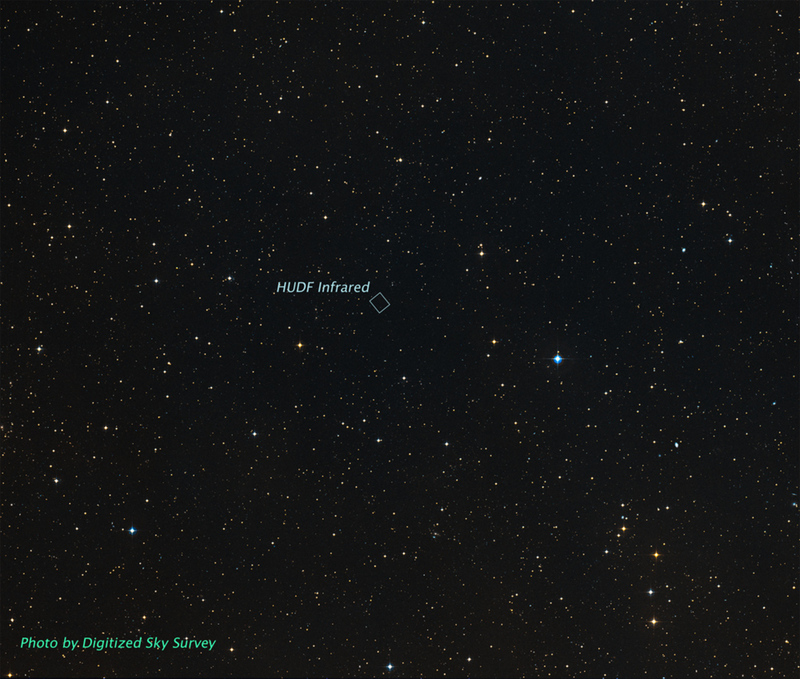 A zoom on the HXDF.